Product Description: A musical genius of the 18th century; Wolfgang Amadeus Mozart is a famed classical composer and pianist. 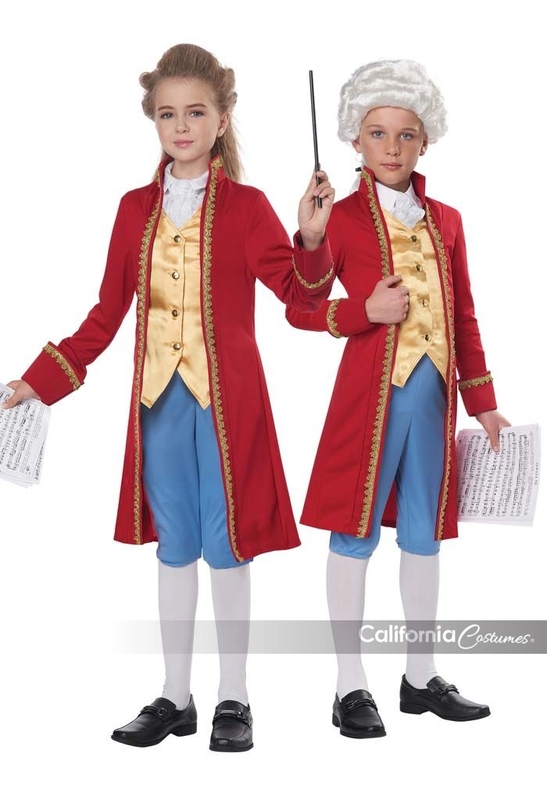 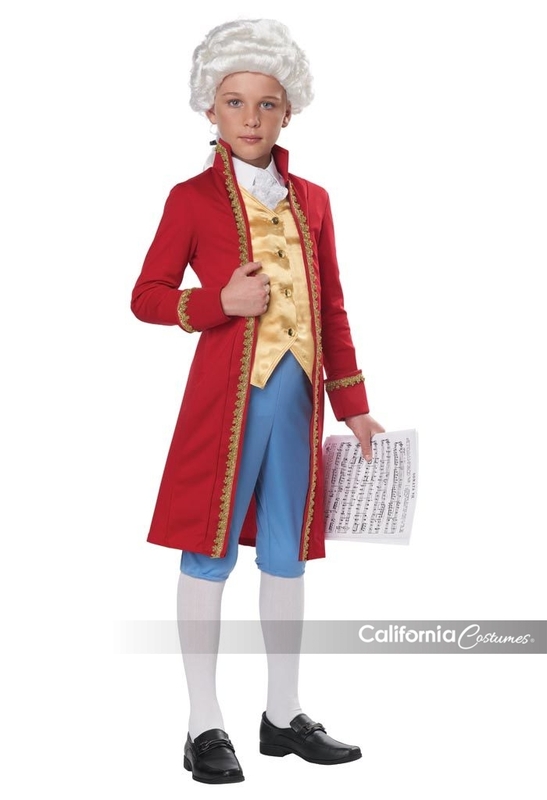 The Amadeus child costume is a jacket with combined button up vest. 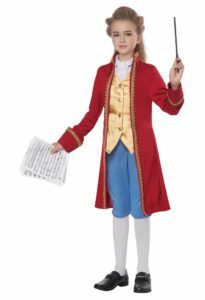 It comes with a pair of knickers pants and a lace cravat necktie.